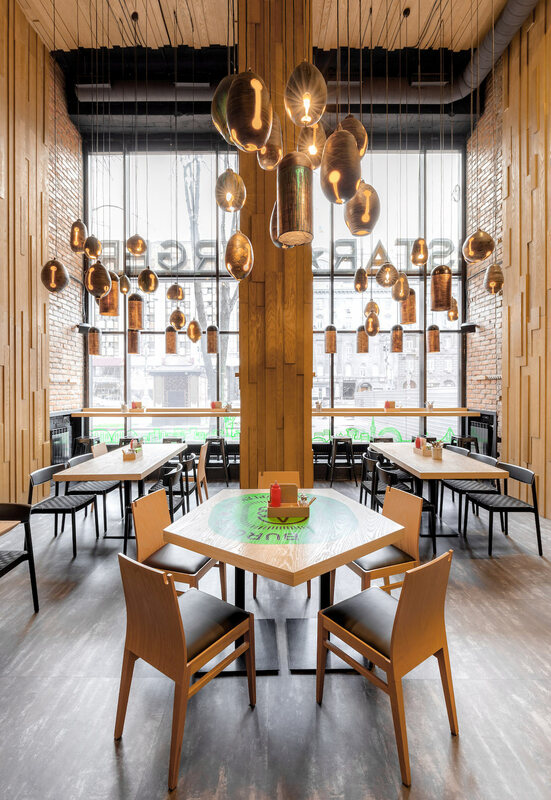 When the talented team of designers and architects banded together with the owner of this restaurant, they were faced with answering one challenging question: can we eat a delicious burger in a restaurant with a delicious design? 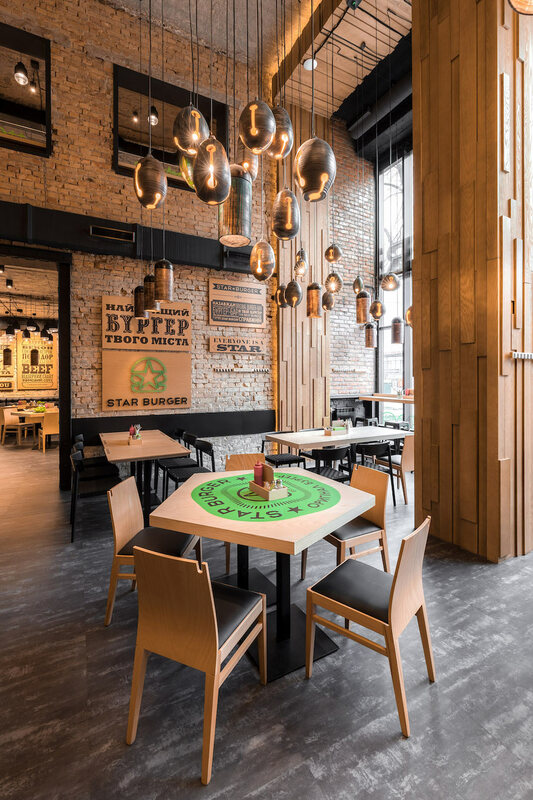 As far as one could tell, Sergey Makhno Architects definitely rose to the challenge. 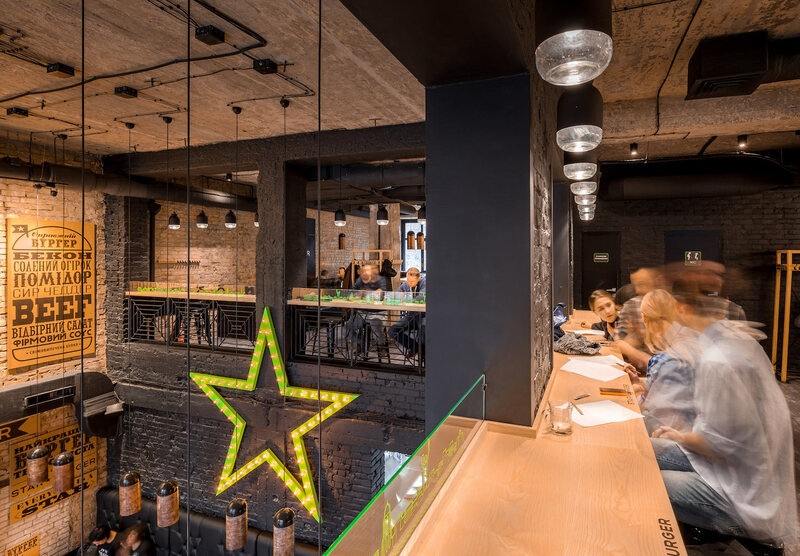 The Star Burger is a one of a kind restaurant located in the heart of Kyiv, Ukraine and has more to offer than just meat on a bun. 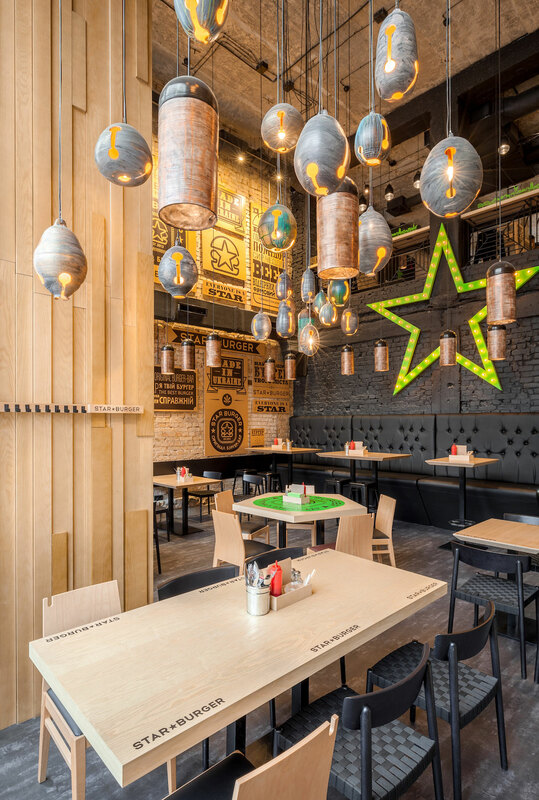 Although Star Burger is a chain of eateries, this particular one is special. No other location is designed like this one. 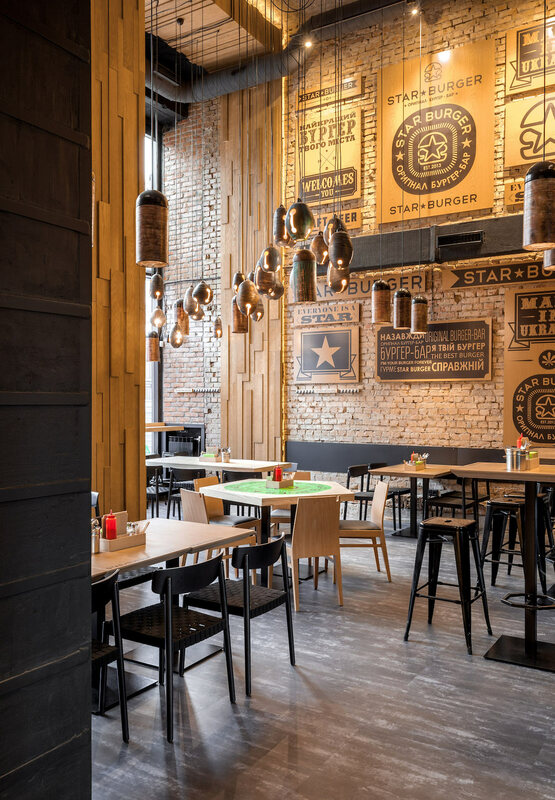 The client, who claims to not be afraid of anything, told the designer that he wanted to create something that took the corporate brand of Star Burger and combine it with an industrial restaurant design. 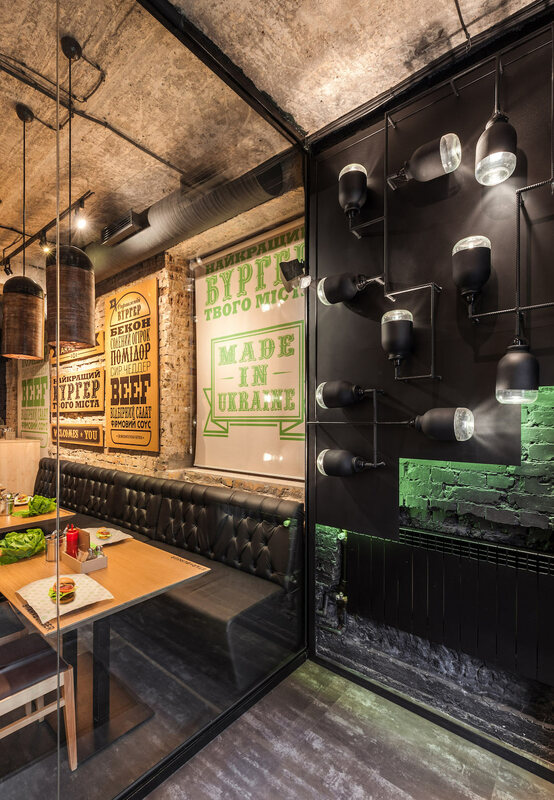 In terms of industrial interior design, this one sets the bar. 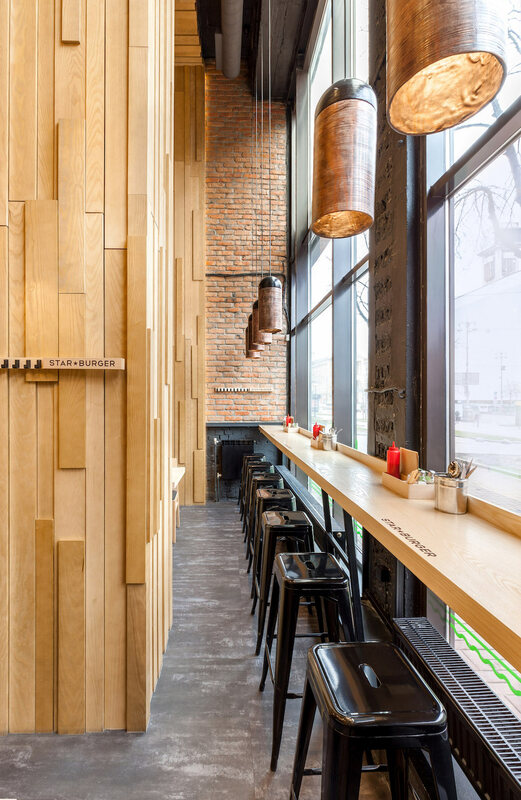 The building itself consists of two spate floors, both offering two different atmospheres for clients to choose from. Depending on your mood, size of group, and tastes, you can choose a setting you’re most comfortable in. The main floor is open with large windows, letting in the natural light which surrounds the building. Original concrete and brick walls have been painted in various shades of tan, gray, black, and charcoal. 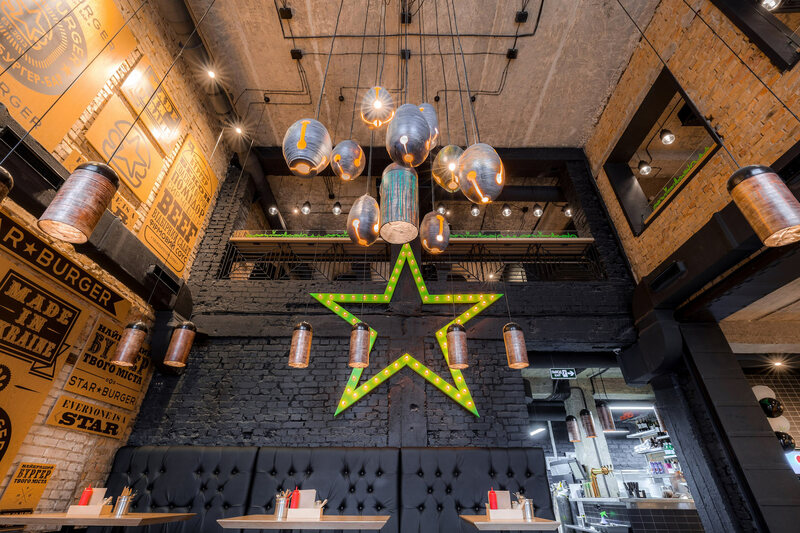 The signature Star Burger brand of neon green and black can be found mixed throughout in décor, signage, and the furniture. Solid maple and birch wood have been used to build the custom furniture we see and has been finished in a clear, natural sheen. 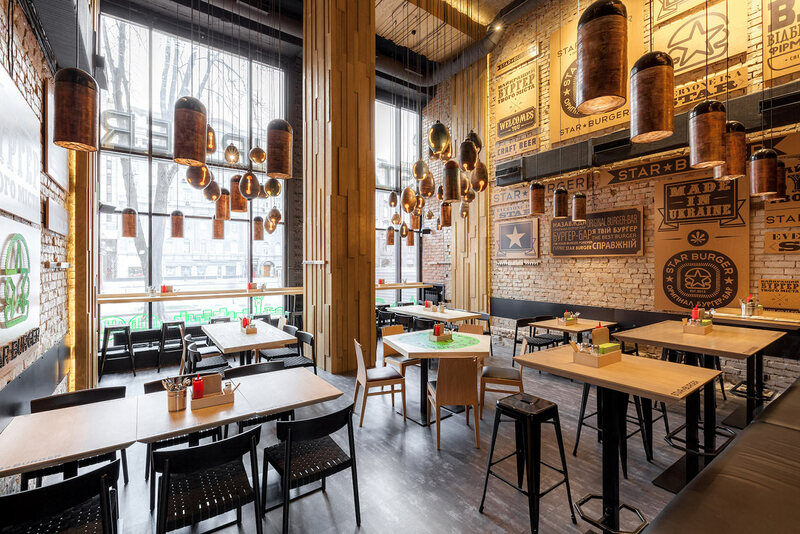 The exposed brick, black leather benches, and jagged wooden coverings add the perfect amount of texture to the space and are all accentuated with the ample lighting dangling from above. 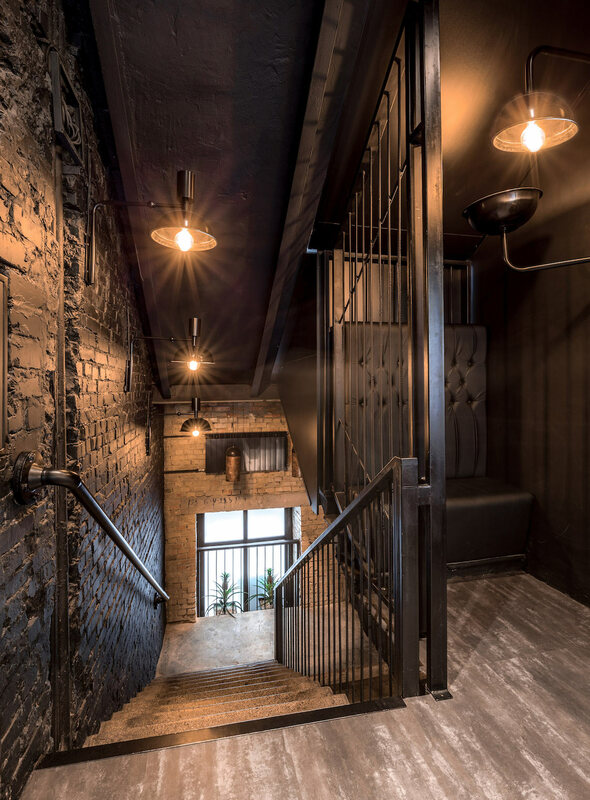 The upper floor carries much of the same industrial style upwards but places it in a more intimate setting. Often referred to as the “family area”, the upper floor is perfect for families, dates, or a nice dinner for one.